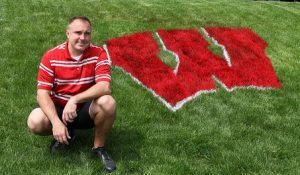 Lenziehmongolf.com is delighted to announce another partnership agreement, this one with veteran Wisconsin golf writer Brian Weis. GolfWisconsin.com, GolfMichigan.com, ArizonaGolfers.com and GolfAlabama.com. Brian Weis’ websites expand our Travel options. His venture into golf began in 2004 with the launching of GolfWisconsin.com. Its success spurred the creation of a network of sites, and GolfTrips.com was born in 2007. Weis is a member of Golf Writers Assn. of America, International Network of Golf, Golf Travel Writers of America and International Golf Travel Writers of America. With the addition of Weis, the lenziehmongolf.com website has partnerships with five golf sites. Two others are travel-focused – GolfNow Chicago, published by Indiana resident Cheryl Justak, and HackersCentral, published by Minnesota’s Bruce Stasch. Now Wisconsin is covered, too. All partner sites are a bit different in scope. Rory Spears (Golfersongolf) and Tim Cronin (IllinoisGolfer) are both Chicago-based and focus primarily on golf developments in Illinois.